A recent article in the New York Times was fascinating. 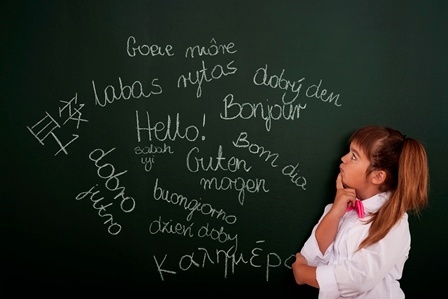 "Researchers, educators and policy makers long considered a second language to be an interference, that hindered a child’s academic and intellectual development. But this interference, researchers are finding out, isn’t so much a handicap as a blessing in disguise. It forces the brain to resolve internal conflict, giving the mind a workout that strengthens its cognitive muscles." When I was young. My family moved a lot. I spend my formative years in a state in India where the local language (Marathi) was different from the national language (Hindi). My neighbors spoke Gujrati. And I learnt English in school. So I was fortunate to learn four languages. When we moved to a Hindi speaking state. I had to deal with Sanskrit. Talk about mental torture. However now I realize all this language learning gave my brain a flexibility that has proved very useful. So to all parents I would recommend teach your child a second language. If you are an immigrant and speak a different language. Make sure you speak your native language in home. Your child will learn English in school. But may never learn your native language unless you make it a must.